For the life of me, I couldn’t figure out how to get to the damn Animal Conservation Platform even though Miller said it had finished being built. That’s because it doesn’t even show up on the main map of your Mother Base. Go figure. In order to get to the Animal Conservation Platform, you have to be in your ACC (helicopter) like you’re getting ready to go out on a mission. I tried doing this from Mother Base and I wasn’t able to for some reason. So, first go back to your ACC. Open up your iDroid and go to the “missions” tab. 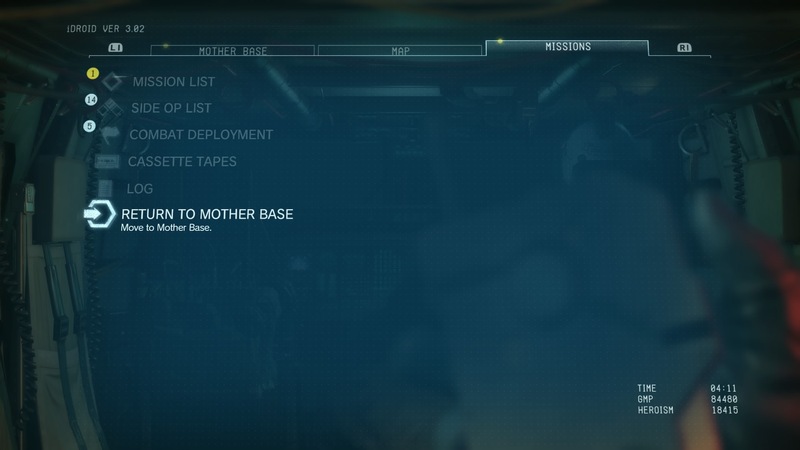 Once there, choose the “return to Mother Base” option. 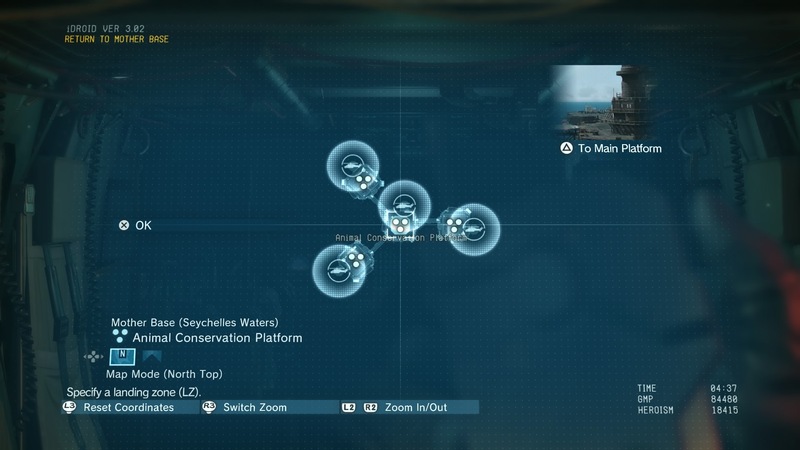 After selecting that you will see the current map of your Mother Base. While you’re looking at the map of MB, press the triangle button (Playstation) or the Y button (Xbox). It will bring up an entirely new map of the Animal Conservation Platform. Just choose a landing zone on the base and you’ll be dropped off in no time.